Using our Order Online feature, you may order a “reconditioned” Maxton valve through our Valve Exchange Program (VEP), and as part of the exchange, you must return to Maxton the valve needing to be rebuilt. The valve that is returned to Maxton becomes the property of Maxton as part of the exchange, and is placed in our stock after evaluation and general overhaul. A Core charge for the valve exchange is charged on the initial invoice. A core charge credit is available as long as a rebuild-able core is returned to Maxton within 90 days of the initial valve exchange order. We suggest that you consider the scheduling of the valve being removed and replaced on the job prior to ordering, to make for speedier return and credit to your account for the core charge. Prior to submitting a VEP order, you should have the valve serial number available from the valve that the VEP will be replacing, as well as the type of flange(s) required on the valve (all valves shipped by Maxton go out with flanges attached). Upon our receipt of your order, the serial number is confirmed in our records to confirm the valve model. We only exchange “like for like,” which means that we only do exchanges for the same model, and that you cannot send us one model for replacement by any other different model. Please note that VEPs do not come with coil assemblies – if you wish to have coils included with your order, you must order them separately. 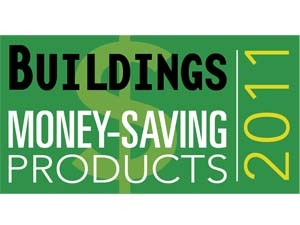 The Maxton Valve Exchange Program Won Buildings Magazine 2011 Money Saving Products Award! NOTE: The normal mechanical life of a Maxton valve is in excess of two million cycles. Valve operating life can be affected by many variables, i.e. the operating temperature, the usage frequency, the pressure ratio, and the presence of contaminants in the oil, their size, type and amount, etc. With the presence of at least some adverse conditions in most installations, serious consideration should be given to overhaul or replacement of a control valve on a five year cycle. This practice also maintains that the most current elevator control valve modernization advancements are realized in areas like increased energy savings and ride performance. If you are doing a valve exchange, please note that your order will be complete when you receive your confirmation. If you have not received verification after two (2) hours, please contact us by e-mail or call 1-775-782-1700.